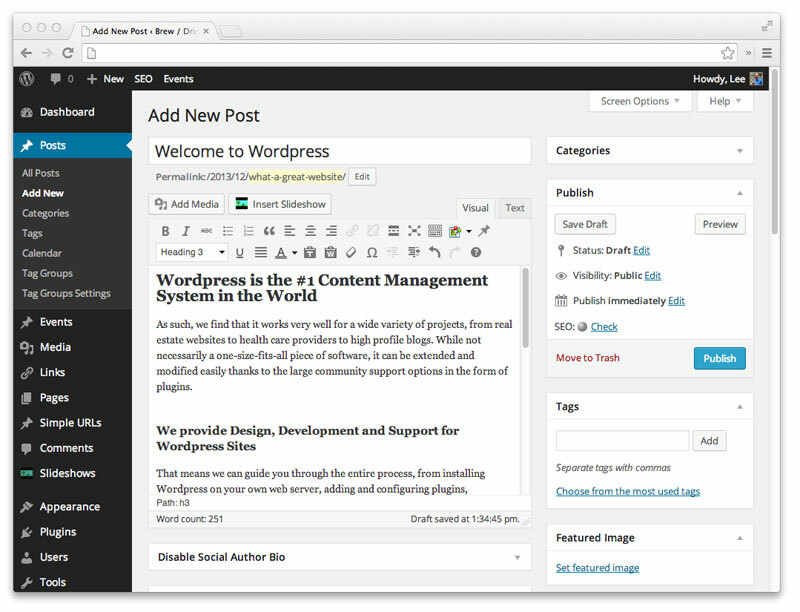 We recommend Wordpress to power client websites because it's not only easy to use - but it's also the industry leader. As such, we find that it works very well for a wide variety of projects, from real estate websites to health care providers to high profile blogs. While not necessarily a one-size-fits-all piece of software, it can be extended and modified easily thanks to the large community support options in the form of plugins. That means we can guide you through the entire process, from installing Wordpress on your own web server, adding and configuring plugins, designing your website's custom look and feel, creating a custom Wordpress theme and ongoing maintenance tasks like applying functionality upgrades and security patches. We also offer contracted Wordpress upgrade services for clients interested in a long-term partner. We're happy to serve local clients in Savannah, GA as well as national and international-based Wordpress sites. We can meet face to face, or virtually via online meeting software. You'll always have a real person to talk to if you need assistance. Wordpress has a fantastic iOS app that allows iPhone users to manage their website, post new content and even add images while on the move. We can help you get the most out of the app and the mobile browser friendly administrative website so that you will always have total control of your web presence, no matter where you are! Contact us for a free demonstration of Wordpress to find out how you can power your website with the help of Heideldesign.